If you want to guarantee the best office Christmas party venue for your colleagues this festive season, consider The Bristol Pavilion, a unique and premier cricket venue for all your party, conference, and event needs.  With a range of shared and private party options available, add some sparkle to your celebrations and ensure your hardworking colleagues have something to look forward to this year, kick-starting the festive season and the new year off in the right way. We get it!!! No one wants to have to think about Christmas in the middle of summer – especially in all this heat we’re having- but a couple of hours of inconvenience now could save you the hassle of trying to find a free venue come autumn time. In addition to being an iconic British sporting venue home to Gloucestershire Country Cricket Club since the late 19th century, The Bristol Pavilion is one of the best and biggest events venues in the South West, providing world-class facilities, flexible suites, and gorgeous views of the cricket ground. The food at the venue is also something to shout about, with catering staff able to cook up some truly fantastic festive dishes for the event. Taking place on November 30th, December 1st, and December 7th this year, Bristol Pavilion’s Shared Christmas Party Nights, available from £34pp, include a festive cocktail on arrival, a delicious three-course dinner, and a DJ, all in a venue decorated with sophisticated and tasteful elegance to match the season. The festive menu this year is a mouth-watering one; lightly spiced roasted winter root vegetable and lentil soup to start, a main of roasted supreme of festive chicken with chestnut and cranberry stuffing and pigs in blankets (or a vegetarian option), and vanilla baked cheesecake with rich salted caramel sauce to savour for dessert. If this option doesn’t suit, there’s also a shared 70s and 80s Disco Party Night on the 15th with optional fancy dress (with a prize for the best costume), and Shared Party Nights with DJ Daz on the 8th and 21stDecember. The venue is also available for private and exclusive hire. For more information on the full range of Christmas party options available for you at The Bristol Pavilion this November and December, read through the brochure on the link here or keep an eye out on their social media pages.